Are you a business that wants to reach families? Imagine an easy to follow, eye-catching and mobile responsive website that lists local activities, attractions, events and festivals, playgrounds, skateparks, patrolled beaches, walking trails, markets and of course, retail businesses for kids and families. Byron4Kids offers a number of different advertising packages and opportunities with a range of different price points depending on what you offer and the type of advertising that works best for your business. We are all aware that size, location and the quality of an advert all contribute to its performance. However, performance also increases with targeting. 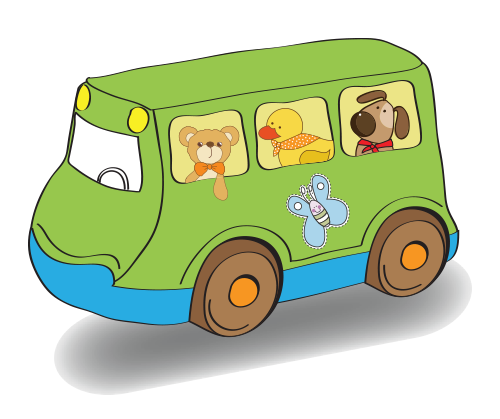 More and more families are now using Byron4Kids as the GO TO website when looking for things to do and places to go for kids in this area. Don’t miss out on this opportunity for direct connection with your target audience! Did you know that a comprehensive listing on Byron4Kids website costs considerably less than you might imagine and it lasts a whole year! What better way to reach your target audience than via a website that’s dedicated to them? Not only do you get a carousel of up to 6 (landscape) images, there’s also a generous general information section that lists not only what you offer but includes direct links to both your website and social media addresses! You’ll also have a click-through thumbnail image of your business on the listing page and direct links to your website, social media addresses, email and telephone number if applicable. In addition, it entitles you to a FEATURED Instagram/Facebook Post through Byron4Kids about your business which gives you the opportunity to promote your products further – especially if you’ve got a big sale, special offer or a hot new product to launch! It also entitles you to FREE SCHOOL HOLIDAY LISTINGS on the Calendar of Events for any school holiday classes that you put on. Click here to see a Comprehensive Listing in action! For just $398 per annum, your business will be in front of a growing online community of families who are wanting and searching for local, kid and family friendly information. We also offer a 6 month option for just $198 if you want to test the water and see how you go. Click on an option below and we can have you listed in next to no time! If you are time poor, don’t have pre-written copy, optimised images etc don’t stress. For a small fee, you can always take the option of asking me to put it together using relevant text and photos from your website/Facebook. I have done this for a number of advertisers and of course, you get to approve/amend/update the draft before it goes live. It costs $99 for this service, but if you are short on time and just want to approve something, I can guarantee it’s worth it. 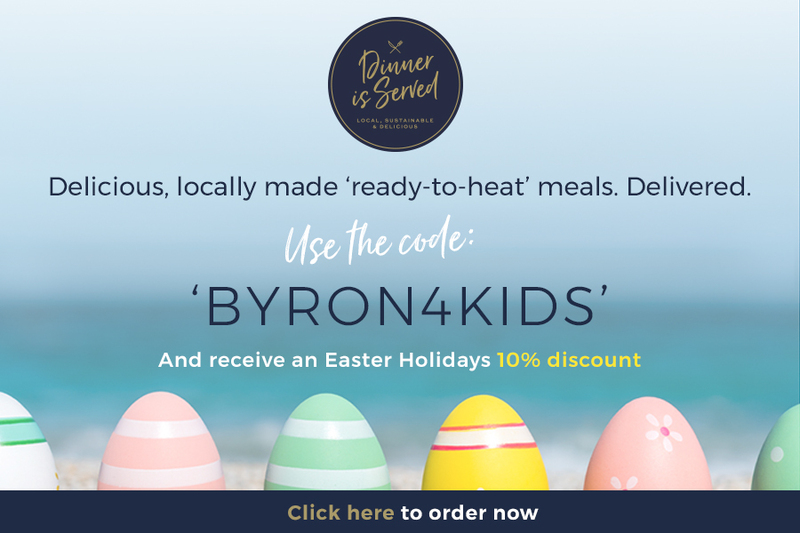 Following increasing requests and regarding family friendly dining options and heaps of feedback from interested families, we have introduced a popular category on Byron4Kids… FAMILY FRIENDLY DINING. How do I get listed and what do I get? Generous general information section about your restaurant including links to your website and social media. It can also include direct links to your menu, reservations page, Trip Advisor reviews and more. Your venue appears in a School Holiday email to 400+ subscribers and a Dining Out Social Media promotional post (Insta/FB) during every NSW school holidays. Other benefits would include being stroller friendly or having an baby change table. Sounds pretty good…how much does it cost? For just $398 per annum, your business will be in front of an ever-increasing online community of families who are wanting and searching for local, family friendly eateries. We also offer a 6 month option for just $198 if you want to test the water and see how you go. Not only that, but the online exposure is significant. At the end of the last school holidays Byron4Kids.com.au hit over 30,000 page views per month – a testimony in itself of just how many people are actively using and searching the website for family friendly options. …and apart from family fun and activities, what could be more important than finding a fantastic family friendly venue to have a meal, even more so if you’re here on your holidays? School Holidays are a hugely important time on Byron4Kids.com.au and for the many businesses that list their activities/events/workshops in our What’s On Guide. With a school holiday reach of 30,000+ page views p/m and rising (stats: Google Analytics Oct 2018) many businesses have contacted me to let me know they have received bookings because people have found their fantastic offering on Byron4Kids website either directly or via Facebook/Instagram posts. Parents frequently tell me it’s an invaluable service with one mum saying that she and a bunch of her girlfriends get together before the school holidays to pour over the What’s On Guide and decide what they are going to do together with their kids or where they are going to send their kids to have fun together the following week. Byron4kids.com.au endeavours to list every possible event/activity and workshop so that our community and the people that visit Byron and Ballina Shires on holiday have access to the most up to date essential info on what to do and where to go with their kids. To offer such a dedicated service, there is a small fee to list your activities/events/workshops on Byron4Kids Calendar of Events during school holidays. It’s just $29.99 to list up to 10 school holidays workshops/activities/events for kids/families during the school holidays. There’s also an UNLIMITED *PER SCHOOL HOLIDAY* listing option for just $20 more at $49.99 So if you had a daily workshop for 2 whole weeks to list it works out at just under $3.60 per listing and even less during the Summer School Holidays! The listing includes a direct link (if you have one) to you website/social media booking page to book tickets/pay for the event/workshop or it lists your preferred contact details eg phone or email. 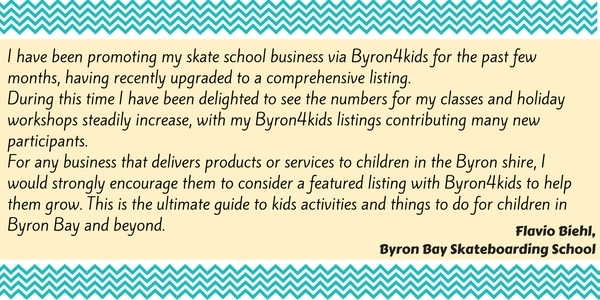 Byron4Kids also posts at least 6 times a week on Instagram and Facebook and will include at least one of your listings and also tag you if you use either or both of these social media. Byron4Kids is also featured in a premium spot at the front of the compendium Byron Inside Out – a successful timber covered book and the leading in-room guest compendium in the Northern Rivers with a readership in Byron alone of over 250,000 and tens of thousands of leaflets that are distributed in major tourism areas such as Ballina Byron Gateway Airport and Byron Bay Visitor Information Centre as well as all the family friendly accommodation providers from Brunswick to Ballina including all the real estate agents that manage holiday rentals. Overall, all that’s a pretty high reach over social media, Google, and a well-used local printed information guide and you will be getting access to that reach for just $29.99 for up to 10 activities/workshops. Choose the option below to make sure your school holiday event is given the coverage and promotion it deserves! It’s back to school and it’s back to preschool and after school activities. We are so lucky in this area with an abundance of classes, workshops, programs and lessons in a wide variety of creative and sporting pastimes. From skateboarding to soccer, Flamenco to football, basketball to baby sensory, gymnastics to golf, martial arts to macrame, yoga to Yummy Mummy Fitness! You name it and there’s probably a class for it! Byron4Kids.com.au has a whole category in the main menu dedicated to Classes & Workshops. Classes and Workshops work a little differently to the other categories on Byron4Kids website as they are based on School Terms – not annually – which makes for an even more affordable option at just $100 per term or further discounted the more Terms you choose. A comprehensive Term-Time listing offers images, logo, links to social media pages, email and contact numbers. It also has a generous general information section where you can list class details, timetables enrolment procedures etc. In addition, your classes will benefit from an individual feature social media post plus a general class shout out on Instagram/Facebook before the beginning of each term. It also entitles you to FREE SCHOOL HOLIDAY LISTING on the Calendar of Events for any school holiday classes that you put on. Click here to see what a comprehensive Term Time listing looks like. Byron4Kids has 2200+ and growing daily followers on Facebook and Instagram. It also appears in first position on page 1 Google search on “Things to do for kids in Byron Bay” and has a Google Analytics Page Views of over 35,000 per month during school holidays and around 17,000 p/m out of school holidays. Choose an option below that suits your need and budget. Need a boost for your product or service? Perhaps it’s school holidays and you are not so much offering a specific workshop or event but a special offer such as a School Holiday Special or May Madness Discount! Or perhaps you are launching a NEW product or service directed towards families and/or kids and you want to get the message out there, or even a competition – then this is the option for you. With a school holiday reach of 30,000+ page views p/m and rising (stats: Google Analytics Oct 2018) many businesses have contacted me to let me know they have received bookings because people have found their fantastic offering via Byron4Kids Facebook/Instagram posts. This option offers a dual promotional post as it is posted to both Instagram and Facebook to maximise exposure. There are two options available depending on whether you have the text you want to go with the promotion or if you require this to be completed by Byron 4 Kids. Both options can also be used in conjunction with a Boosted Facebook Post to further expand your reach. 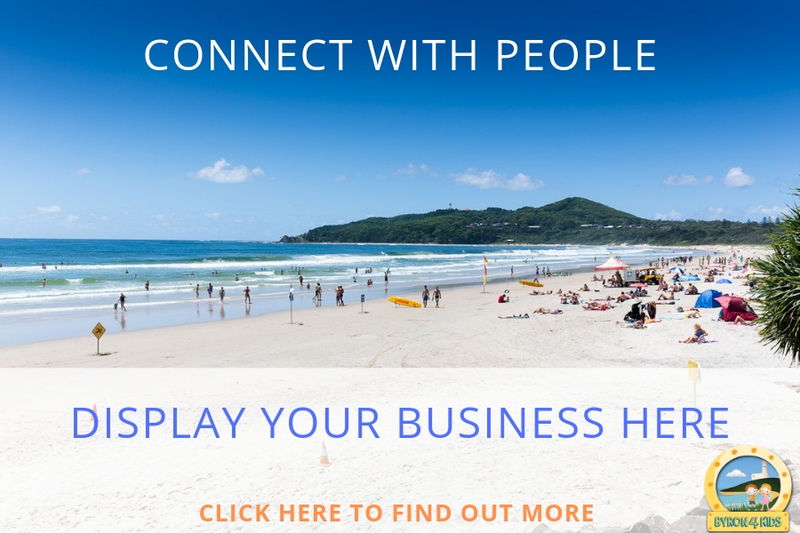 Looking for some good exposure and promotion for your business? Whether during or outside of school holidays this can be an affordable option to promote an upcoming event, special offer, workshop or activity. Byron4Kids.com.au features a carousel of 8 images in prime position on its home page. There will only ever be a maximum of 8 carousel images and a maximum of 3 available as advertising slots which can be booked for a week at a time. The slots available for advertising on the carousel are 2, 3 and 4. This advert works on a first come first served basis so if slot 2 has been taken you will be offered slot 3. This promotional option offers direct clickable links from your image (1200×800 pixels) to the page of your choice – eg website booking page, Facebook Page, Instagram Page etc. For the purpose of school holiday advertising; school holidays begin when QLD School holidays start and end when NSW school holidays finish. There’s also the option of the Sidebar Ad which costs just $10 a week! There is no price change for this advert for school holidays and you can book it per week for as long or as short as you need it. This advert appears down the side of the screen when using a PC and at the bottom of the screen when using a handheld device. Note, if you require it for more than a week you will have to purchase it twice as it only comes as a per week option.